Welcome to Windermere subdivision and 8 Downing Ridge Court - a beautifully maintained and improved upon home in the Adams Farm area just off of Adams Farm Parkway and a hop, skip & jump from business 40, Guilford College or I-85. 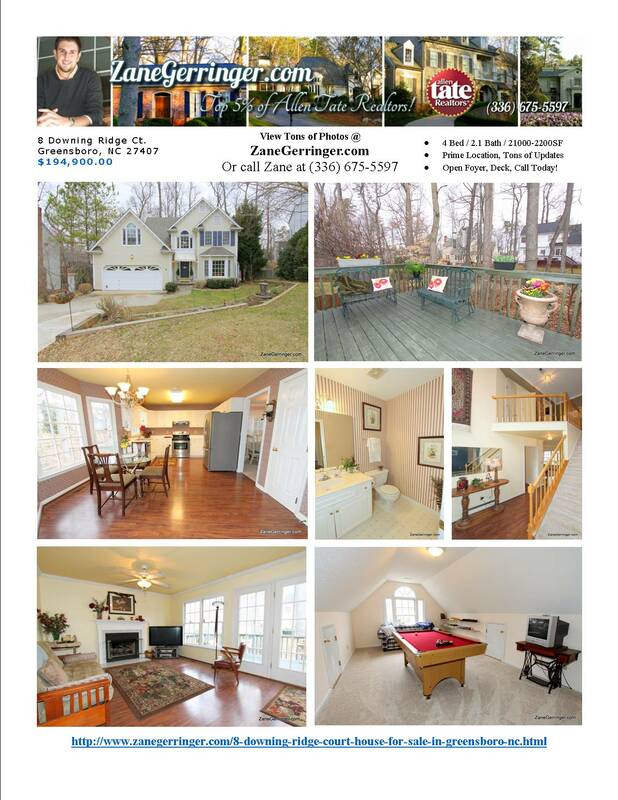 Call for an appointment - either by calling 336-675-5597 direct or have your agent call 877-878-9777 today! Call or Click for a Private Viewing! Questions about 8 Downing Ridge Court House? 8 Downing Ridge Court at Adams Farm is marketed by Zane Gerringer of Allen Tate Realtors in Greensboro, NC. *All information contained herein was obtained from sources deemed reliable, but no guarantee is intended, expressed or implied. Persons interested in this property should consult their own authorities before making a decision to purchase.